Show off your love of Donkey Kong with these stylish tube socks from Bioworld! Made of comfy 68% acrylic, 30% polyester, 2% spandex. Sock Size: 10-13 / Shoe Size: 8-12. Officially licensed. 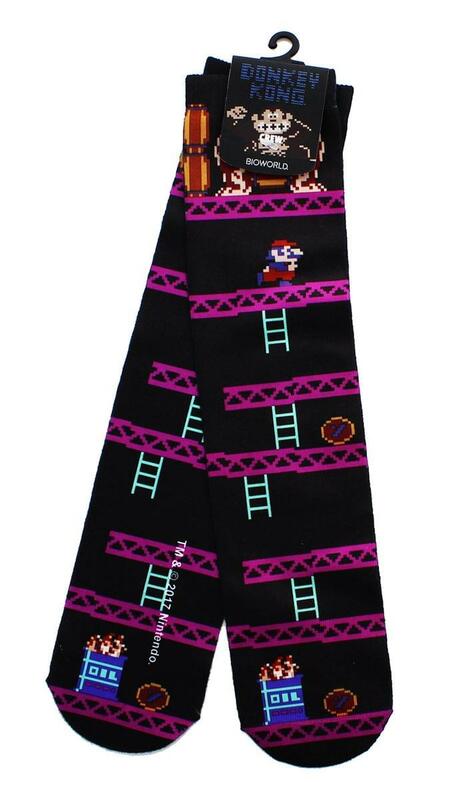 Show off your love of Donkey Kong with these stylish tube socks from Bioworld! Made of comfy 68% acrylic, 30% polyester, 2% spandex. Sock Size: 10-13 / Shoe Size: 8-12.